I love making potato soup especially when it is a cold winter night. The kids demand the thick and creamy kind for their dinner. It brings smiles to their ears when I sprinkle crumbled bacon and shredded cheddar cheese all over each bowl. 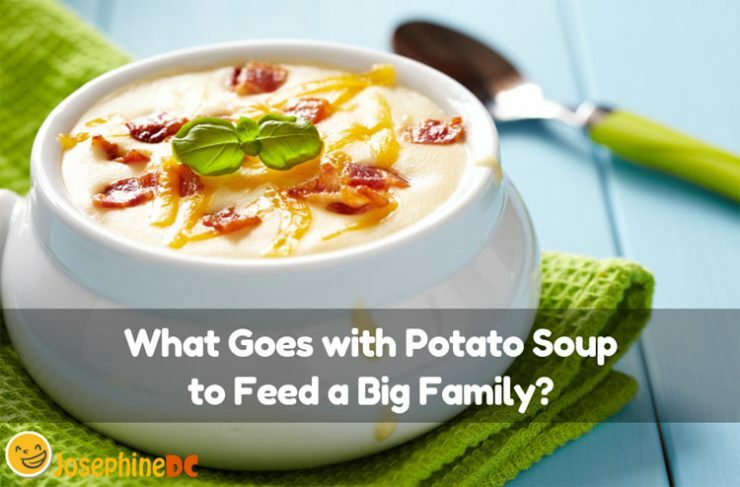 What goes with potato soup to feed a hungry family? I make sure to include potatoes always in my grocery list every week. Potato does not only make a hearty soup, but it easily fills a hungry belly especially when the budget for meat is scarce. You will be surprised what side dish complements a hot potato soup and makes a simple dinner a hit! What Goes with Potato Soup to make a simple dinner exciting? Knowing that potato is heavily starched, you can find side dishes to pair with it and make the meal healthier and easy to digest. The key is to choose the right entrée to go with it and transform dinner into something that the whole family will look forward to each time. If I happen to make the potato soup too creamy and heavy, pairing it off with fresh cheesy garlic bread will balance it down allowing you to enjoy more to fill in your stomach. In fact, I make the crusty bread by myself. The secret is to fry the bread into the melted butter to create a more intense flavor. I then sprinkle the garlic powder over and serve it hot. It is your choice whether to use a lot of garlic powder or not. 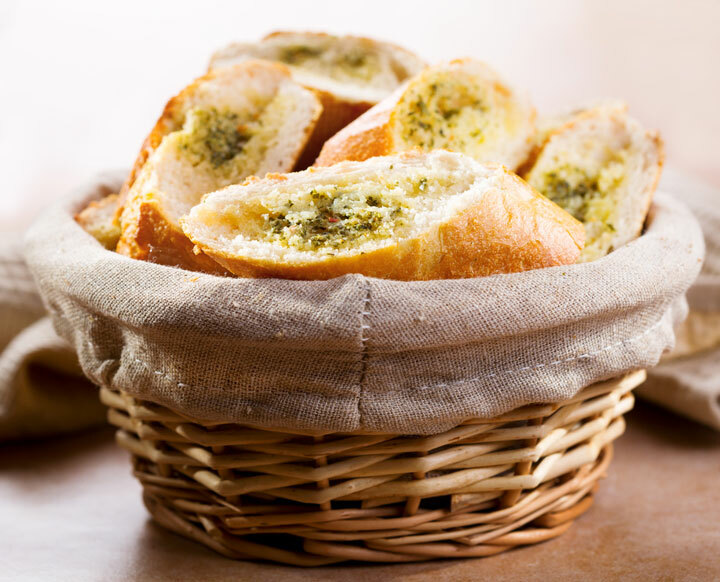 My freshly baked dinner rolls are the best side dish that is a perfect alternative to crunchy garlic bread. When the desire of pairing off my hot potato soup with something soft and fluffy, dinner rolls should be my pick and nothing else. 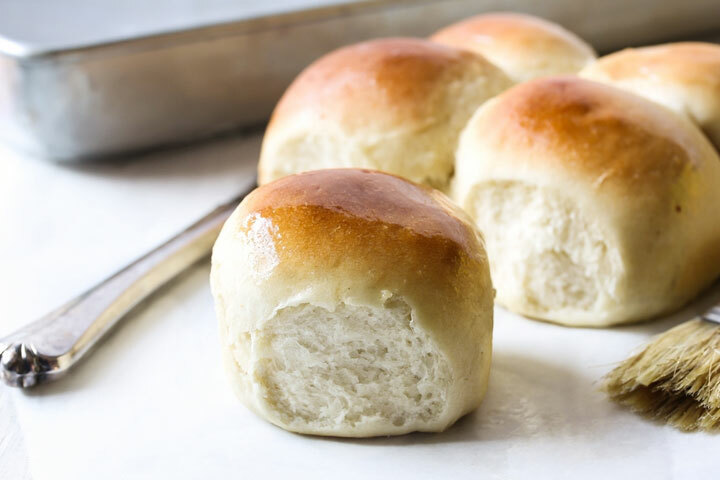 Try it and experience the buttery and light texture of the dinner rolls absorb the flavor of your potato soup and make each bite melts in our mouth. I do not know about you, but my style is to dip the rolls into my soup for more yummy and fun meal. Have you tried serving a group of hungry young men from a football game? Yeah, feeding to them my potato soup will not be enough for sure. No matter how heavy a potato fills your tummy, I still need a side dish that will add up to what I can offer. Hence, I made a beef roast sandwich to delight the youths. 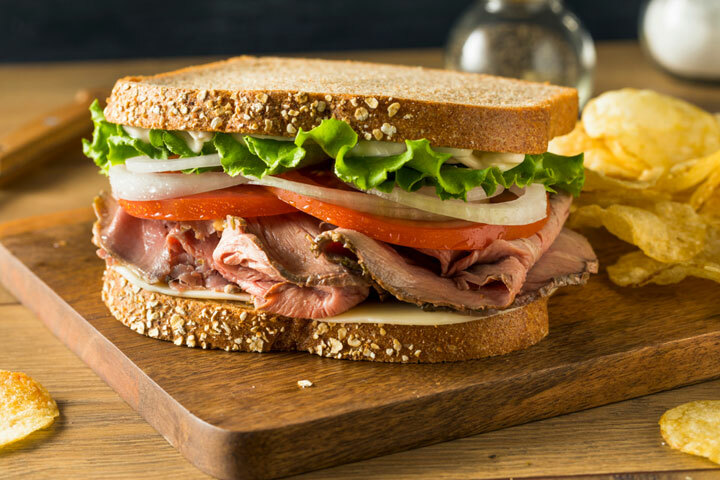 Beef Roast sandwich and potato soup is an excellent combination for growing children. It is a superb energy booster for all meat lovers out there. Make sure to use a leaner cut with a mineral, earthy tang for an enjoyable chew. I am getting serious when I say we have to grill some chicken legs along with my potato soup. What is a perfect companion for a hot soup than freshly grilled chicken legs? I have to warn you though to eat them all quick before it gets cold. 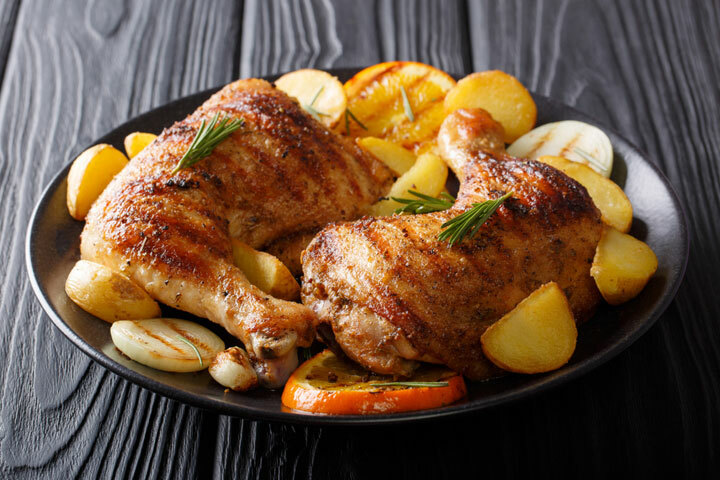 I love the sizzling meat of grilled chicken eaten together with a sip of tasty potato soup. Go for the spicy flavor. The potato will serve as a neutralizer of the spiciness it brings. That is why I say they complement each other! I remember hosting a potluck party one night; all I need to prepare is my creamy potato soup and strawberry spinach salad. The salad was a special request from my friends who were health conscious. They want to have a light side dish along with my potato heavily creamed potato soup. 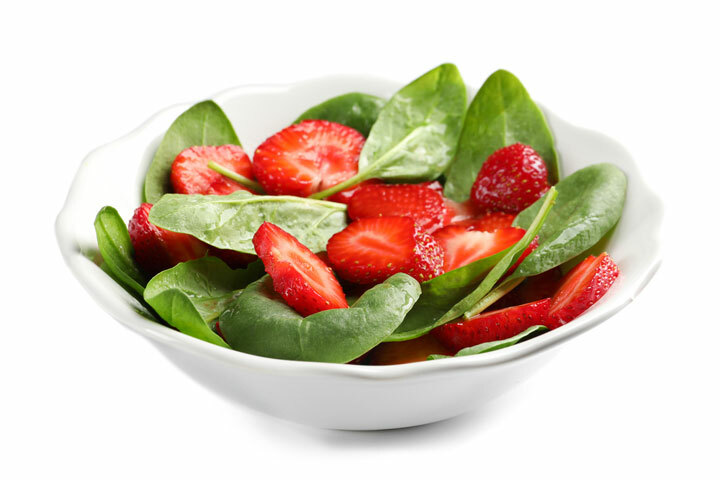 Strawberry spinach salad is a refreshing twist of taste considering that potato soup is starchy. Hence, any type of fruit-veggie salad like strawberry spinach is a perfect side dish for potato soups. 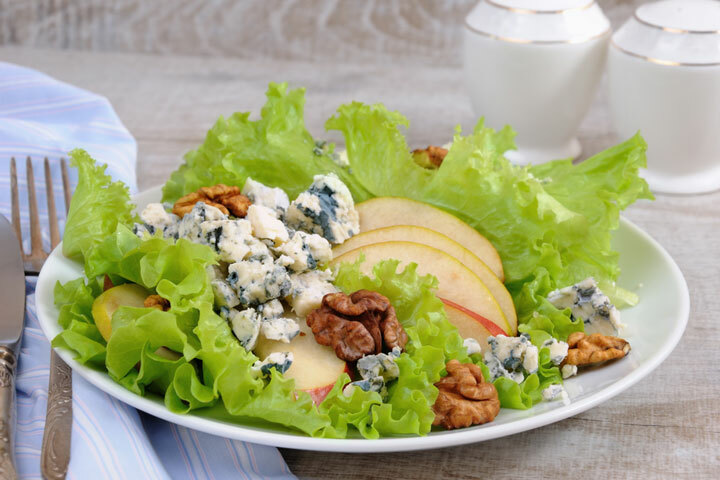 Just like the strawberry spinach salad, this lettuce salad with sliced pears is a delight that every vegetable and fruit-loving guest would love to devour. It offers the same refreshing taste after the creamy taste of potato soup. I say it is best to prepare fresh fruits salads to wash off the starchy flavor of the soup. I suggest garnishing the salad with some walnuts and gorgonzola pieces for a more diverse savor. As an alternative, you can make garlicky roasted broccoli and tomato salad as well. I have shared to you various side dishes that I personally serve together with my potato soup. All of the entrees are my family’s favorite and are part of our winter menu. However, what goes with potato soup when it comes to beverages? 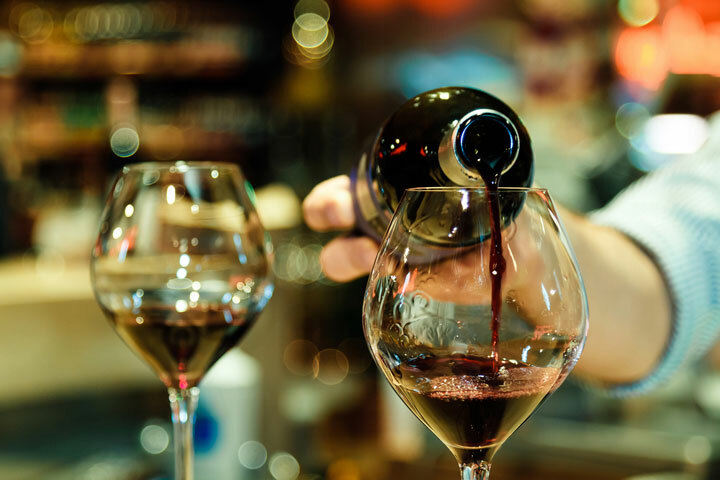 You cannot deny that drinks are a necessity for every meal. It is an excellent choice to pair beer with potato soup during those ordinary peaceful cold nights, but when it comes to gatherings and parties, my potato soup is perfect with a glass of wine or champagne! When the starchy flavor of your potato soup lingers in your mouth, you either pick the veggie salad and a cup of wine. However, nothing beats dessert when serving potato soup. 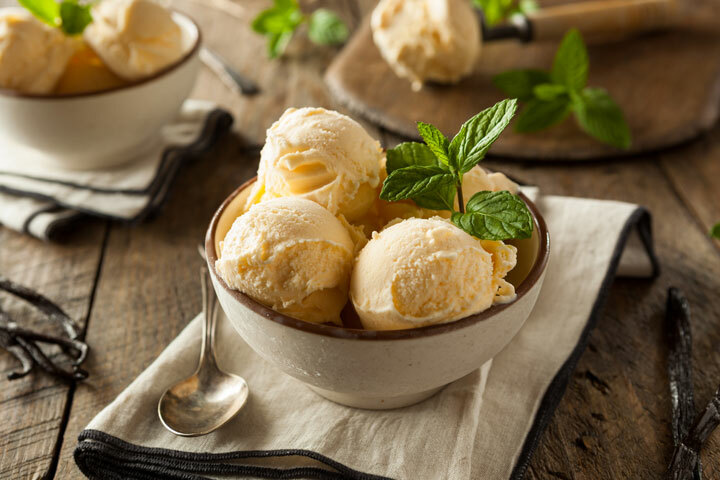 Especially when kids are around, ice cream and cheesecakes are always something they look forward to after a bowl of potato soup. More suggestions that go well with potato soup are tarts, pies, and vanilla sticks. Of course, I mean to share with you the potato soup recipe that my kids always whisper to me as the best. There are plenty of variations when it comes to this soup, but this recipe is what I cook often. Do you know that I make this soup every time someone in my family is down with a cold? Apparently, a warm bowl of soup has healing magic. Feel free to improvise the recipe to your own taste. Bacon strips: Six (6) strips will do, but I set aside extra to crumble as toppings because you know the kids love it. Place your chopped potatoes in the crockpot. Make your chicken broth enough to cover the potatoes in the crockpot. Pour it in. Drop the spices in the crockpot and stir it well. Crisp the bacon and crumble them after into tiny bits. Reserve some of the grease. Add it all in the boiling soup. Sauté the onions and garlic using the bacon grease until soft. Add it to the soup. Let the soup cook for at least three hours or until the potatoes are soft and the broth is slightly starchy. While the soup is cooking, make a flour/butter/milk thickener (roux). In a pan, melt the butter, then, mix the flour. It will normally clump together, but when you slowly pour the milk, it will become smooth and creamy. Add the cheese to the roux until it melts. Whisk your roux into the crockpot while stirring occasionally. Turn off the heat and serve! You can put toppings in each bowl served like the extra cheese, parsley, bacon, or anything you like. I have been making this potato soup for years. The secret there is choosing the right potato and using the best chicken broth there is. Offer to your family and guests in a bowl together with your side dishes. Any entrée that goes with potato soup the best will do like those in the list I gave you. What goes with potato soup that ends well with you? I know that each has its favorite side dish that makes a part of good times. Choose the kind that brings you joy and comfort. My entrees are mostly a tradition to my family and hold warm memories with friends and families. Make your own list of what goes well with potato soup and discover that there are plenty of choices to pick. For me, I pick a side dish base on the occasion, weather, and the type of people that will eat. I am sure you have your own preference as well. Read more : What to Serve with Fajitas for Parties? , What do Lentils Taste Like? What Should I Expect?